Philip Glass: minimalist, creator of ground-breaking operas such as Einstein on the Beach and Akhnaten, name behind movie scores for The Truman Show and Kundun, composer of powerfully expressive and beguilingly romantic symphonies, musician of unparalleled influence on contemporary sounds from classical to club. These are the familiar aspects of America’s most successful living classical composer, who almost accidentally has built a substantial body of concert music along side core theatre works. as performances and CD releases build up, they are giving more and more listerners their first taste of what Glass is about. But what direction will he take next? 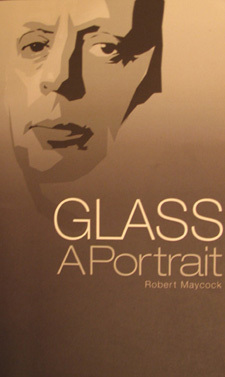 With the help of wide-ranging interviews and unprecedented access to the Glass archives, including private recordings of Glass’s latest pieces, English critic and write Robert Maycock has put hmself in a unique position to appraise Glass’s life and work to date and to report new directions. He comes to some surprising conclusions.